BP Ventures, in support of BP Alternative Energy’s strategy in low-carbon power, storage and digital energy, has invested £1.5 million in Voltaware, whose innovative energy monitor offers businesses the ability to track their energy demand in detail, down to individual appliances. 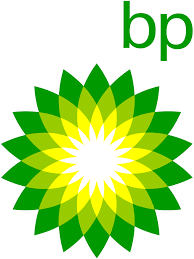 BP Alternative Energy is exploring the impact that digitisation will have on the energy sector and how innovative technology will shape the way that energy is consumed and managed, both by businesses and individuals. Sensors such as those provided by Voltaware are one example of these emerging digitally-enabled innovations. Voltaware has developed an internet-enabled energy monitoring device that allows business and residential users to track and optimize their energy consumption, breaking the data down to demand from individual appliances, and manage their electricity use. It also gives businesses the chance to proactively track the performance of individual machinery, so allowing them to run their businesses more efficiently and provide preventative maintenance on appliances showing abnormal energy usage levels. The data can be checked and analysed in real-time on a single device using the associated app. BP has been in the renewables business for more than 20 years – it is one of the largest operated renewables businesses amongst its peers and is expanding as opportunities are identified. Through its wind energy business in the US, its biofuels and biopower business in Brazil and its solar partnership, Lightsource BP, BP Alternative Energy is providing renewable energy across the world. Voltaware is a London-based electricity data intelligence company that has developed a leading electricity sensor and comprehensive AI-based electricity data intelligence platform specialising in energy disaggregation, predictive maintenance of equipment and energy-saving advice. BP Ventures identifies and invests in private, high growth, potentially game-changing technology companies, accelerating cutting-edge innovations across the entire energy spectrum. Since 2006, BP Ventures has invested over $400 million in corporate venturing and has 43 active investments in its current portfolio.